How have you spent consecutive holidays in the beginning of this month? I have spent all my time swimming along the shore of southern island. As a result, I have gotten such a dark tan for this time of the year. I would like to show you scene from under water during Helicopter Underwater Escape Training this time. Delegates must escape from capsized simulator with EBS (Emergency Breathing System) in their mouth. Participants in FOET course have taken this training within four years. Therefore everyone has been able to escape form the simulator calmly. 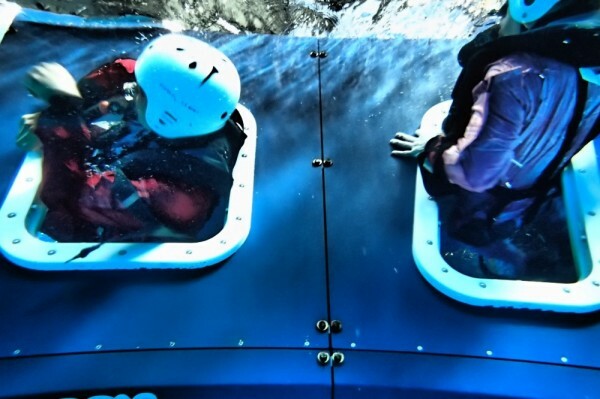 In the photos below, you can see capsizing simulator and delegates escaping from it. 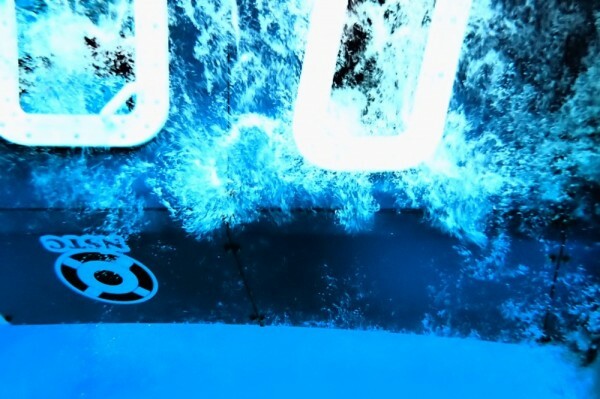 Simulator turning upside down, and bubbles moving vigorously. After simulator stabilized, escape from it accordingly. (Bubbles are not seen at this point). More than likely, people would panic in this situation without any training experience. More training experience built up, calmer you can respond in this kind of situation. We are looking forward to seeing you again for the next FOET. Thank you so much for training with us.